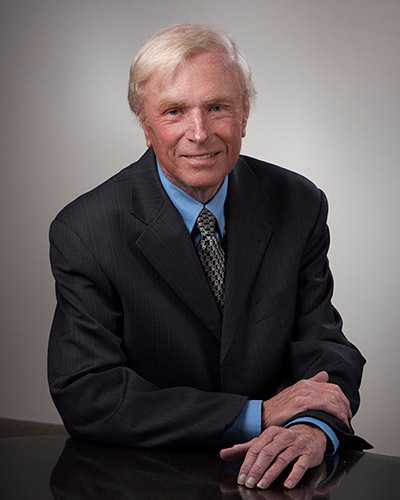 After a life of civil litigation, on December 31, 2011, Wayne retired from the practice of law. Wayne was born in Chatham, Ontario in 1945. He attended the University of Western Ontario, obtaining his B.A. in 1966 and L.L.B. (with Honours) in 1969. He was called to the Bar (again with honours) in 1971, and was employed with the firm first as an articling student and then as an associate, and became a partner in 1972. Wayne restricted his practice to civil litigation (mainly insurance defence work). Within that field, he carried on a general insurance and trial practice in the areas of municipal and environmental law, casualty (personal injury and death), fire, surety and subrogation law, and products liability. Wayne appeared in the Ontario Superior Court of Justice, its predecessors the District and Supreme Courts of Ontario, Ontario Divisional Court, Ontario Court of Appeal and the Supreme Court of Canada, and before various tribunals (including those dealing with compensation for criminal injuries, and Workers' Compensation). Wayne was selected by his peers for inclusion in Best Lawyers in Canada as a specialist in Insurance Law and in the Canadian Legal Expert Directory ('Lexpert') as a leading practitioner in commercial insurance litigation. As an adjunct to his civil litigation practice, Wayne advocated in appropriate cases Alternative Dispute Resolution, and conducted numerous mediations resulting in more cost effective file closures. For many years, he was a member of the Canadian Bar Association, the Advocates' Society (Ontario), the Defense Research Institute (U.S.) and the Canadian Defence Lawyers Association, as well as an elder with St. Andrew's Presbyterian Church, Kitchener, Ontario. He and his wife, Terry make their home in Waterloo. He remains as counsel to the firm.